We Estefania Renzi and Silvina Gerbaldo are volunteers of YWCA Carlos Paz and Cordoba. 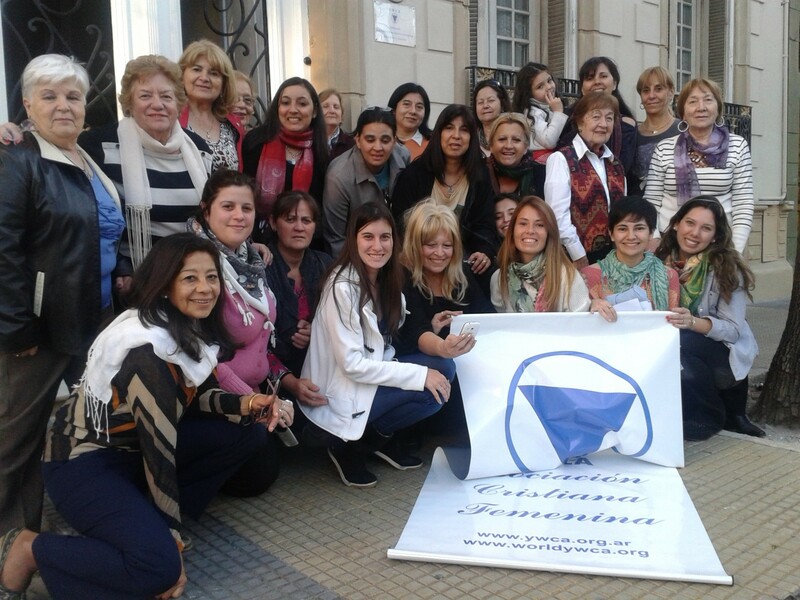 We would like to thank YWCA of Argentina and former world president Mónica Zetzsche, for the opportunity to participate in a training in the city of Buenos Aires, 800km from our city. This training made ​​us reflects on how to grow as committed people with our dreams, giving our best and also benefiting the YWCA with our future leadership. We also thank Accionar Entrenamiento de Argentina for having taught us that one can leave their limitations and achieve their fondest dreams. With our message we want to encourage all those young girls who are daily struggling to find themselves, that you are not alone and that there is a movement that can support and sustain the achievement of your dearest dreams. Having shared this experience together, it has strengthened our friendship as YWCA sisters and made intergenerational leadership possible. We look forward to sharing many more experiences together.